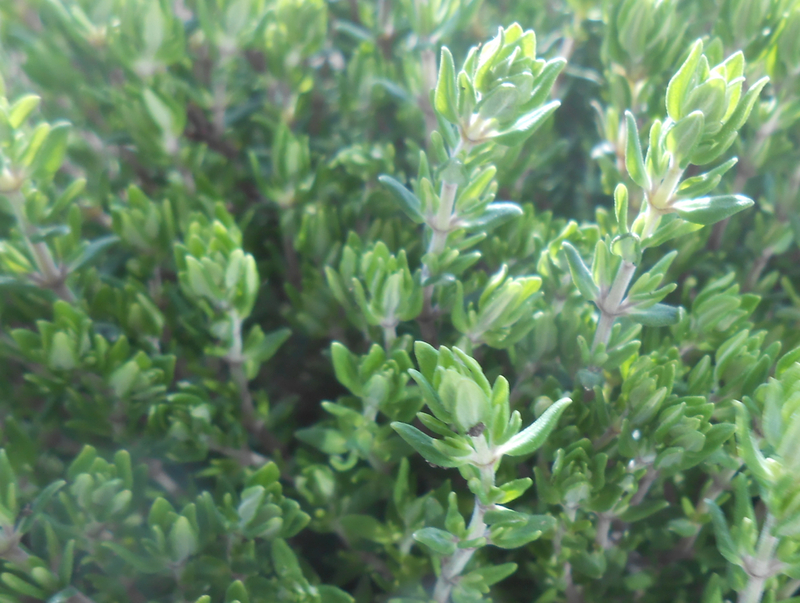 Plant your own herbs, and if it was only for visual pleasures. Herbs, potting soil: it doesn’t need a lot to enhance your life all year long. mundane way. 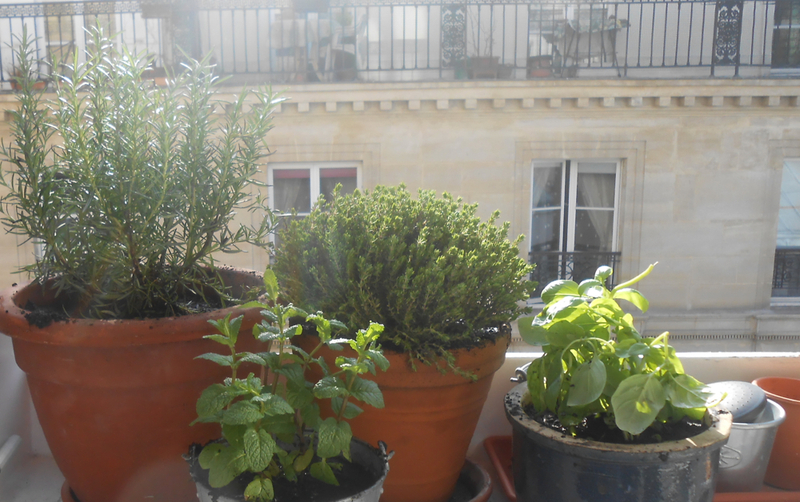 Yet today was the first warm and sunny day in Paris (and the whole of France) in a very long time and I got my hands dirty while planting the aromatic herbs I will need as a cook in the months to come. So please forgive my poetic enthusiasm. What I want to share with you today is this: Why would you buy expensive bunches of rosemary, thyme, mint or basil at your “gourmet” store or greengrocer’s over and over again – when you can invest once (we’re talking about penny stocks!) and have a stable herb supply throughout the year? Anyway. What I’ll have in my kitchen from now on, while cooking, of course, is the illusion of a tiny garden in the heart of Paris. And that is priceless. ← Get your hands dirty! It’s worth it. I envy you. 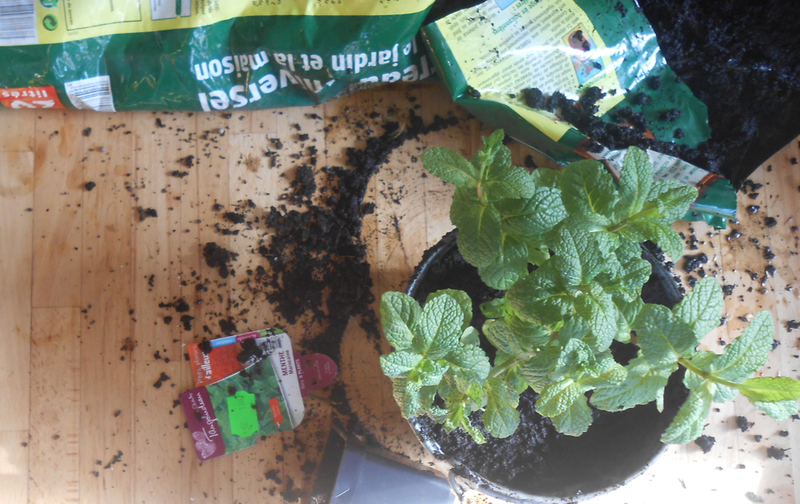 I brought home two herbs in tiny pots and killed them in seven days flat. Sigh. It’s a gift. I’m sorry to hear that, Traci, but believe me, I’m not a gifted gardener, far from it. Guess it’s just luck.